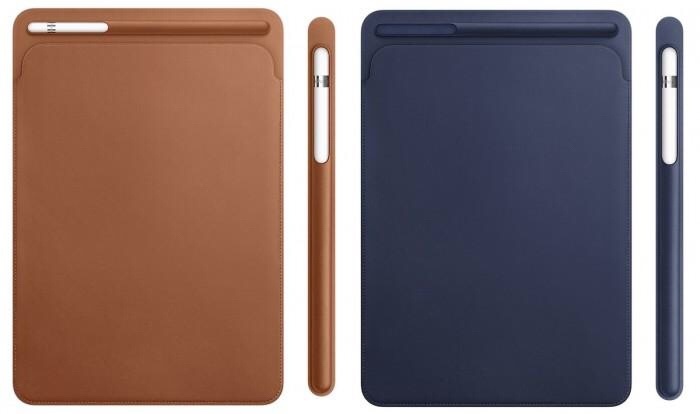 For today’s deal of the day, Best Buy is discounting select Apple-branded iPad cases. The ones that are being specifically discounted are their sleeves and cases. The discount for these sleeves and cases is between $10-25 off the original price. It should also be noted that the sleeve does come with a holster for the Apple Pencil too. The regular case works the same way all of the other Apple-branded cases have worked in the past. In fact, the Apple iPad case looks a lot like the one we reviewed last spring for the iPad 5th and 6th Generation. Most of the cases and sleeves being offered in this deal are for the 10.5-inch and 12.9-inch iPad Pros. This offer can be used in Best Buy retail stores and online through their website or mobile app. When at their stores or using their mobile app, you can pay with Apple Pay too. On top of that, if you place an order for the sleeve or case, you will get free shipping on the order. The deal expires at midnight tonight in your local time zone. Get the deal while you can for those interested.